The Throttle Body is an important mechanical component found in the fuel injected vehicles which control and regulates the amount of air flowing into the engine. The throttle body incorporates a flat valve which is referred to as “butterfly” and this valve is responsible for controlling the amount of air entering the engine. The term “gas pedal” is usually misunderstood by many people as they think that the acceleration pedal controls the delivery of fuel to the engine. However, the gas pedal is used to control the angle of the butterfly valve which regulates the amount of air entering the engine. 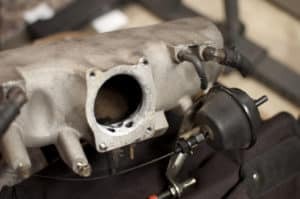 In the traditional carbureted engines, the throttle body is integrated into the carburettor while in the modern fuel-injected engines, the throttle body is installed between the air filter and the intake manifold. When the throttle body is in its appropriate condition, the engine receives an ideal ratio of air and fuel and offers an optimum performance. However, when the throttle body is damaged, the combustion process will not occur properly due to an imperfect air/fuel mixture. In this article, we will discuss the common symptoms which are experience due to a bad or failing throttle body. The throttle body of your vehicle is basically a butterfly valve. It is usually located anywhere between the intake manifold and the air intake filter. The core function of the throttle body is to regulate and control the amount of air that is allowed to enter the engine. This is regulated by the information that determines how much combustion is required inside the engine and how much air will be required for that combustion. The input data is sensed from the pressure that the driver applies on the throttle of the vehicle. The stronger pressure on the gas pedal corresponds to more air that enters the engine system. Consequently, when more air enters the system, more fuel is allowed to enter the internal combustion engine to ensure greater combustion and more acceleration power of the vehicle. The information about the pressure on the gas pedal is sensed by the throttle position sensor in the modern vehicles, which is then transmitted to the engine control unit. Similarly, the airflow sensors also transmit the data to the engine control unit of the vehicle about the air that is entering the engine system, as a result of which the engine control unit commands the fuel system to provide more fuel to the engine. This is carried out electronically in electronic fuel injection engine systems. In most vehicles, there is only one throttle body, with a rare exception of special larger vehicles. The function of the throttle body is also dependent on other parts, such as the air filter. If the air filter is not functioning properly or it is clogged, the throttle body will also not perform well. For this reason, just like the air filter maintenance, the throttle body and butterfly also require a regular maintenance and cleaning. If you notice your car’s engine stays between 500 to 100 RPM and the engine vibrates frequently, it may be due to a dirty throttle body. To fix the situation, you can get your car’s throttle body serviced and the engine vibration will go away. 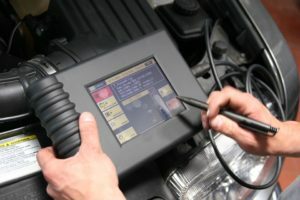 As soon as the car’s onboard computer detects a problem with the throttle body, it will cause the check engine light to illuminate. The check engine light also comes due to several other reasons which are why it is recommended to visit an auto specialist and have the car scanned for trouble codes. The engine requires both adequate air and fuel supply for performing effectively. If the engine is not receiving proper air supply due to a damaged throttle body, the engine will suffer and as a result, the driver would experience a drop in the performance. Having your car checked by a mechanic is necessary in this case. The carbon and contaminant buildup inside the housing creates an uneven surface and as a result, the air/flow mixture is unable to flow smoothly. Moreover, dirt and grime also result in an uneven mixture of the fuel of air causing a problem with the performance. A dirty or damaged throttle body reduces the overall performance of the car. If you notice that your car is not accelerating properly or there is a drop in the fuel economy, it is most likely due to a faulty throttle body. How to diagnose a bad throttle body? For diagnosing the underlying problem with the throttle body you may need to carry out certain tests for the throttle position sensor in case you have an electronic fuel injection engine system. If everything else seems to be in the proper order you need to cancel out the possibilities with a differential approach and observe the condition of the throttle body, the port, and the assembly. A physical inspection will help you see if the throttle body needs a replacement. The symptoms are also very useful for identifying the problem. A bad throttle body may cause stalling in the vehicle, misfiring, electrical problems, high or poor idle, and improper throttle stop. Issues such as grim and dirt deposits or vacuum leaks can also cause problems to the throttle body. Down below you will find some further information about throttle body diagnostics. A problem with an electrical connection can cause incorrect information to be relayed to the car’s onboard computer. The throttle body is linked with a throttle body position sensor which collects information regarding the amount of air entering the intake. The sensor then transfers this information to the PCM which decides how much fuel should be mixed for the effective combustion process. If the sensor sends an inaccurate signal due to a connection problem, it will result in an imperfect air/fuel mixture and ultimately disrupt the performance of the car. If you notice a vacuum leak, there is a high possibility that there are problems with the throttle body pressure as well. One way to determine vacuum leak is to check the vehicle’s RPM. If the RPM remains very high or stays low idle, then there is a vacuum leak. However, most of the time the problem lies within the throttle stop as well. Correctly adjusting the throttle stop is the solution in this case. Now that you know the disadvantages of leaving your car’s throttle body dirty, it is time to clean it to ensure a smooth airflow. The cleaning process is simple and only requires one thing: A bottle of WD-40. Start off with removing the air pipe from the throttle body and spray the WD-40 directly on the opening for about 13 to 15 minutes. Press the gas pedal to open the throttle body’s valve and ensure that the spray is reaching on the inside. If you want to get a spray created for the purpose, to clean the throttle body, check out this on Amazon: CRC 05078 Throttle Body and Air-Intake Cleaner – 12 Wt Oz. Once the spraying is done, start the engine and slowly push down the gas pedal till the RPM reaches 3000. Keep the accelerator constant at this level and notice a white gas coming out from the exhaust pipe. Keep pressing the accelerator until the gas attains its normal colour. This process will not just clean the throttle body but will also remove carbon buildup from the engine. After the cleaning, in many cases, you have to do a throttle body basic setting to make it work properly. In some cars, this function is automatic after some startups. To do a basic setting, you need an OBD2 scanner. If after following the above-mentioned procedure, you still notice issues with the dirty throttle body, it is time to visit an auto specialist and have the car inspected by an experienced professional. A mechanic will scan your car with a computer and check for trouble codes. If the scan result shows “P2119” code, then the problem is due to the throttle body or the throttle position sensor. Typically, in most vehicles, the throttle body can be found in between the intake manifold and the air filter or air cleaner of the engine system. Usually, the aluminum is used for the making of the throttle body. The location of the throttle body can be a little different for different vehicles. However, according to the purpose of the throttle body, it should be located anywhere between the air filter and the intake manifold. How to replace the throttle body? Here is a step by step easy to follow guide on how to replace the throttle body of your vehicle by yourself. The average replacement cost of the throttle body is between $480 and $710. The parts itself cost between $430 and $550, while the labour cost is around $50 and $160. 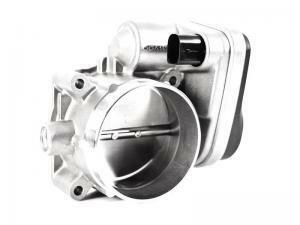 The throttle body can be differently priced for different vehicles, models, and the manufacturing company. Basically, the main cost involved in the replacement of a throttle body is the cost of the parts that are required to be replaced. Regular maintenance can effectively prolong the life of the parts of the throttle body and you may not require a replacement for a long time. However, when the fixing of the problem requires a replacement, you will have to pay on average anywhere between $430 and as much as $550 for the parts only for most vehicles. The labour cost involved in the replacement can be economical or expensive depending on which car shop you are going to for the replacement. Usually, the mechanic may charge you $50 or as high as $160 based on your location and the mechanic’s pay rate. In total, you may need to pay $480 to $710 for both the labor cost and the parts.